Who are we talking to? Why? What’s our motivation? Is this a formal or informal conversation? Are we in a scientific setting or someplace more casual? These are just a few of the questions that translators ask themselves when they’re immersed in a project. A clear understanding of your audience’s profile and the larger context are defining aspects of this job. They mark the tone and intention of the translation. It’s simply a matter of humanizing the task so that the transfer from one language to another doesn’t leave you with something unrecognizable. Translating isn’t about finding equivalences; it’s about adapting, adjusting and accommodating. This adjustment process reveals what is perhaps the most important part of the whole operation: modifying words and phrases so that the translation produces the same effect as the original text. This is obviously something beyond the abilities of a machine, application or website. 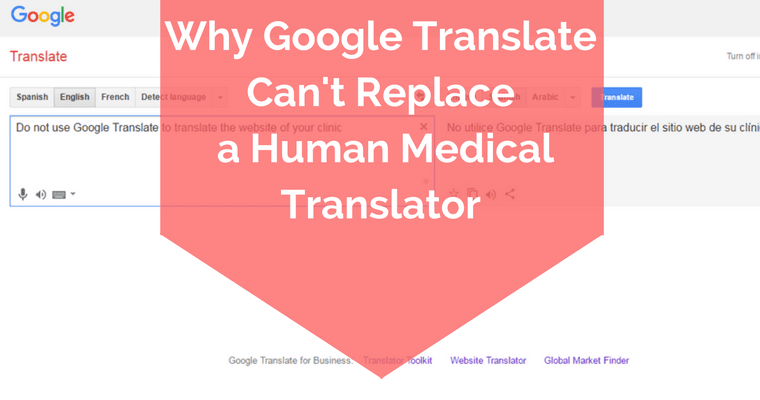 Google Translate’s popularity is skyrocketing, and its technical qualities are improving every day. That said, it cannot replace the human touch in a translation. It can translate fragments and simple sentences, but it is unable to see beyond mere words. 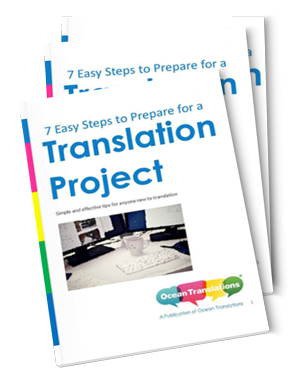 We’re not ignorant of its greatest advantage: it’s 100% free, easy to access, and produces instant translation. That said, it doesn’t do well with complex grammatical structures. What we’re trying to say is that, although it might help in a pinch, Google Translate is not enough. For more on this subject, check out Trying to break the language barrier? You should use this service. That adaptation that we mentioned before—that act of “shaping” a text, document, article or book—requires a special skill set. It requires a professional who sees nuances that aren’t visible at first glance. At the same time, that professional must appreciate the enormous (and sometimes harmful) consequences of a mistranslated word or phrase. In 2010, inspectors at a prison in Lincoln (UK) exposed major irregularities in the handbook given to inmates of Russian origin. This is obviously a mistake that a professional translator would never have made. Technology is meant to help us, but we shouldn’t become totally dependent upon it. We’re not saying you should cut Google Translate out of your life entirely. Just use it with caution. It’s true that it can quickly resolve lesser linguistic issues. However, it cannot replace the mental and creative efforts of an expert. It may be one of their greatest creations, but not even Google uses Google Translate when preparing announcements and specific content for non-English markets. The question is: Do you want your medical establishment to connect with the rest of the world? Then save yourself the headaches and the misunderstandings. Do things the right way. Good communication makes all the difference.